Masami Kurumada (車田 正美, born December 6, 1953) is a Japanese and writer, known for specializing in fighting manga featuring bishōnen and/or mahō shōnen. 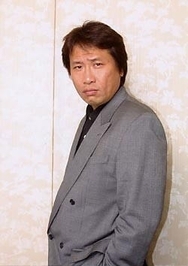 He is famous as the creator/author of popular manga, such as Ring ni Kakero, Fūma no Kojirō, Saint Seiya and B't X. His male protagonists are a reflection of the classical and modern society's archetype of the true men. The male characters in his works often display very masculine qualities and traits, and pursue to achieve courage and manhood perfection through sacrifice, selflessness and true heroism. He has won the best success award with Saint Seiya and the best inspiration award with Ring ni Kakero. Knights of the Zodiac, Vol. 4: Ketsusen! Black Cloth! Is this you? Let us know. If not, help out and invite Masami to Goodreads.